So last week we uploaded a blog post tutorial which provided information on how you can navigate you yourself around our website. We specifically talked about Shell colors, their importance and how you can use our wiki to assist you in searching for information about each shell color. This was important for us to do because we don’t just want to be known as a marketplace for Eames pieces. We want to also be known as the first stop and helpful tool for our users, buyers and sellers. 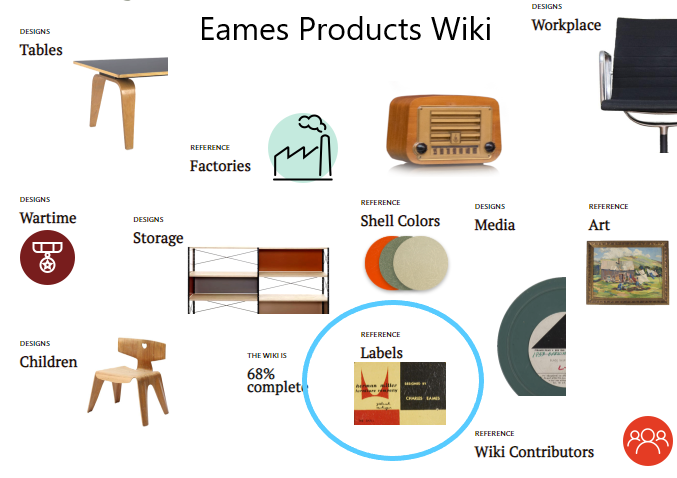 In addition to this, if you have Eames pieces, our wiki can be the place where you read up on the history and get knowledge and information in your spare time. What do we mean by Labels? We know that in the world of vintage furniture and products, there are replicas, fakes and reproductions. This can often make it hard to distinguish between what's real and potentially what isn’t. As a result, labels on Eames pieces, make it much easy to help in authenticating the product. Although labels are used as an indication of whether a product is authentic, it also contains specific information which can be important for each piece. Knowing and understanding labels can help you know when and where the piece was made, even whom had involvement in the creation. The most obvious benefit of an Eames product being labeled is that it helps to age the item. Why is this important? Well, a big factor for any vintage type of furniture is knowing how old the item is, and the older and rarer it is, the more value the product has. So, remember, keep the label on your Eames piece and ever feel the need to clean one off! 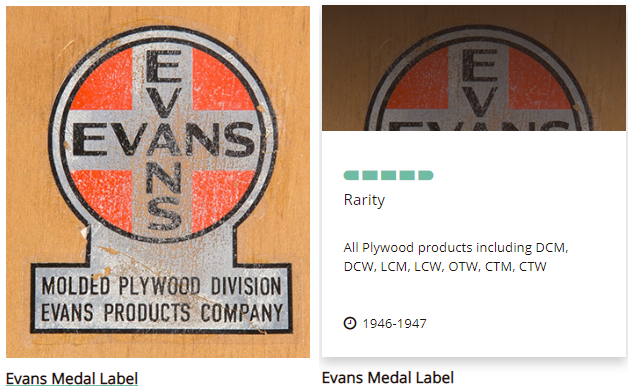 You will also see Stamps across our Labels page in the wiki, and these are similar to labels in that they are important for any Eames piece to have, as it adds value. However, stamps were only found on the fiberglass shell chairs over the years. Nonetheless, labels and stamps both play a huge part for the collectors, buyers and sellers of Eames pieces! Our Wiki will allow you to understand the rarity of each Label as well as providing information on its timeline. In the information box, the Labels will each have a brief description of which Eames product they are mostly found on and information about the creation. For example, the Herman Miller Red Venice belongs to the Fiberglass Arm Chairs only which was created between 1954 - 1955, with the product being quite rare. The next part of the blog post will take you through step by step guides on how to access the different parts of our websites. In this case, the Label segment in our Wiki section. This will only take you 3 easy steps so keep reading! 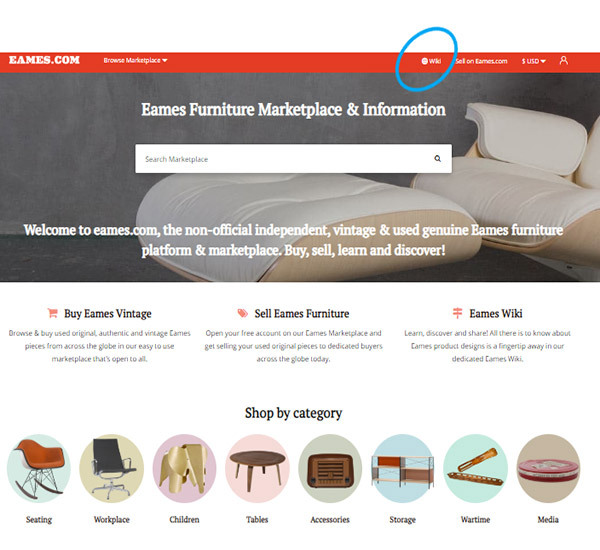 To find your way onto the Wiki page once you’re on Eames.com, click on the ‘Wiki’ icon on the red toolbar across the top of the website. We mentioned this in our last blog post tutorial, but just in case you haven't got around to reading it yet, we will tell you again anyway! Depending on the device that you are using, if it's a computer or laptop, the icon will be visible without you having to do anything. However, if you have a mobile or tablet device, you may have to click the drop-down menu, which will then enable you to see the ‘wiki' icon. Click that to visit the wiki page. You’re now on our Wiki category page and you should see a variety of item sections where we offer information about a piece or feature about a product. In this case, scroll down towards ‘Labels’ and click to view the Labels segment. Alternatively, you will also find a link to the labels page in our articles section. We have made it easy for our users to find the section that they are looking for by implementing sub-categories within the different categories of the Wiki. Once you have made your way to the ‘Labels' page, there is a paragraph at the top of the page, giving you a breakdown of the importance of labels and how they can come in handy. Kind of how we've done in this blog post, just in a bit more depth! In the paragraphs, we give you facts and knowledgeable information about the importance of stamps and labels and provide a little history on them, very interesting! 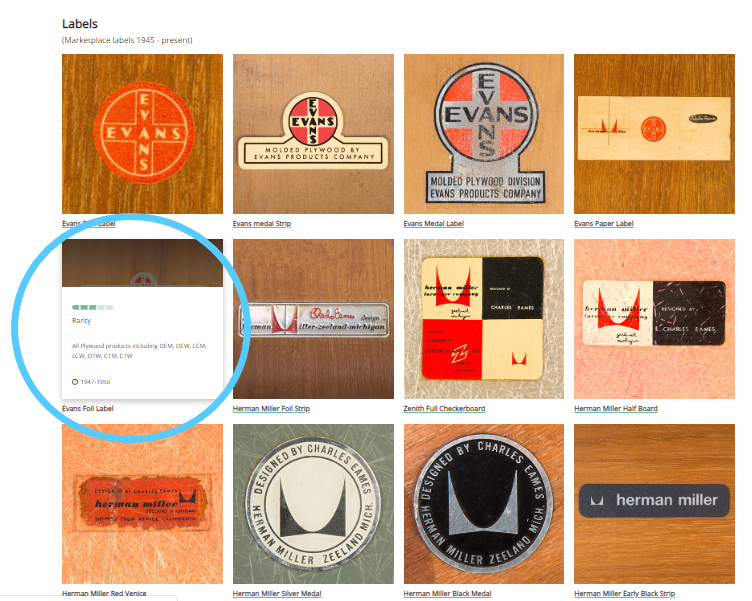 If you scroll down, we have provided over 50 of the various Eames Labels & Stamps, each one for a different piece, all with their age and rarity. And there you go! Now you know what the benefits of Labels and stamps are, what each of them means and how to find information about them on our Wiki page. We enjoy doing blog post tutorials as we know it helps you to make full use of our website and its content. There are plenty of other things for you to see on Eames.com so there will be more tutorial style blog posts in the future, but until then, follow us on our social media pages to get regular tips on how to make the most of the features on our website! Links are at the bottom of the page. We hope you enjoyed this week's blog.